A very spacious 14-person villa with private swimming pool and the beach, shops and restaurants within walking distance. Perfect for families or groups of friends. Top villa with a amazing view over the Mediteranean Sea, provided with all neccesary facilities. Rent this 14 person villa to enjoy the privacy and an enormous private pool for you and your family or friends! Fantastic large villa with large garden, private swimming pool and amazing panoramic seaview! A fully detached villa with a private swimming pool. 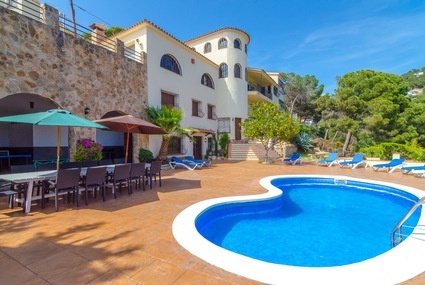 Why would you rent a villa or holiday home in Lloret de Mar? Perhaps the best known and most popular holiday destination in Spain, Lloret de Mar! There are countless reasons why Lloret de Mar is the ideal location to rent a holiday home or villa. Lloret de Mar is located perfectly. You are close to the beach and in no time you will be in the center of Lloret de Mar, where you can enjoy everything what this fabulous city has to offer. This lively resort on the Costa Brava is known for its vibrant nightlife. You will find many nightclubs, bars and restaurants. However, this city has much more to offer. Beautiful beaches, sightseeings, fun activities and many excursion possibilities. Lloret has it all! It is not only an ideal holiday destination for young people, but Lloret de Mar is also a great place to stay with the whole family. From your private villa or holiday home from Club Villamar you can enjoy Lloret de Mar. There are many holiday homes and villas located near the beach. Lloret de Mar offers you everything you can wish for during your holiday. Whether you want to join the crowds and go out into the touristic center or you want to escape and relax in rest and peace at your private villa, the choice is yours! Curious about what Lloret has to offer? Read more! Due to the ideal location of the villas and houses of Club Villamar you will be in no time in the lively center of Lloret de Mar. Enjoy the beautiful golden beach with its crystal blue water or discover all the sights of this great city. Lloret de mar has a history dating back to the Roman times and therefore over the years has built a rich historical culture. Your cottage or villa is the perfect starting point for a visit to the beautiful Gothic church of Sant Roma, that is located in the middle of the center of Lloret. Walk along the beach to the famous castle of Lloret de Mar, Castell Sant Joan or walk to the beautiful fisherman's wife Dona Marinera. Dona Marinera is waiting for you on the cliffs of Lloret de Mar. Catch a glimp of the Town Hall or the impressive famous statues at the cemetery. Visit the beautiful church of Lloret the Ermita Santa Cristina. Or shop for some original souvenirs in the center of Lloret. Do you love nature? Then you can go for some great walks from your holiday home or villa, or let the garden bus tour guide you to the beautiful botanical gardens where you can discover more than 3.000 plant species. All sights are within reach from your cottage or villa in Lloret de Mar! As you probably know or heard, Lloret de Mar is a town full of entertainment. You won´t get bored over there! Bars, restaurants, pubs, nightclubs and casinos. Lloret has it all! And best of all, from your cottage or villa, it is up to you whether you want to participate or you want to spend your nights at your villa or holiday home with your friends and family. Of course, it is nice to cook in your villa with the whole family or have a bbq in your garden. But sometimes you just yearn for simplicity and you just don’t feel like doing the dishes for one night. Lloret is a perfect place to spoil yourself for a nice dinner outside. Whether you are looking for a cozy Spanish restaurant, an Italian pizza or you just fancy a simple burger, the choice is enormous! Do you like to party? Or perhaps you like to relax on a terrace and drink some cocktails. Lloret de Mar is meant for you! You will find many bars, pubs and discos where you can enjoy yourself day and night. So skip a game of cards in your villa for a night, put on your dancing shoes and discover the nightlife of Lloret de Mar. Lloret de Mar is located very central in the Costa Brava which means that from your cottage or villa you can be in another city within a few minutes / hours. For example, consider a day trip to Barcelona, in only 1,5 hours from your villa you can be in this magnificent city! 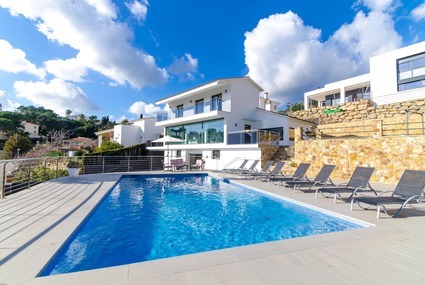 But, your cottage or villa is also very near to other fun and popular seaside resorts, such as Blanes, Tossa de Mar, Malgrat de Mar, Calella and Playa de Aro. Spend a day in the authentic Catalan village Vidreras or go and see the colorful cottages in the wonderful city of Girona. From your cottage or villa in Lloret de Mar you can easily explore the whole Costa Brava! 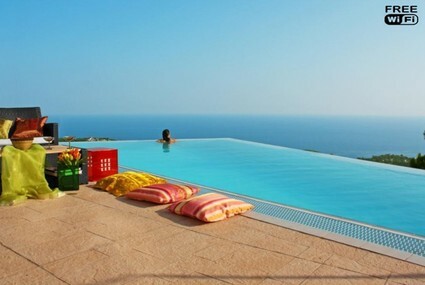 Have you had enough rest at your private pool in your holiday home or villa? Have you had more than enough rest after a few days of relaxation. Then you're probably in for an active day! Leave your cottage or villa and take the kids to crazy parks just outside Lloret de Mar, such as Aqua World, Marineland, Port Aventura or Gnomopark. Go karting at Go Karts or go wild on the many water sport activities at Playa Lloret. 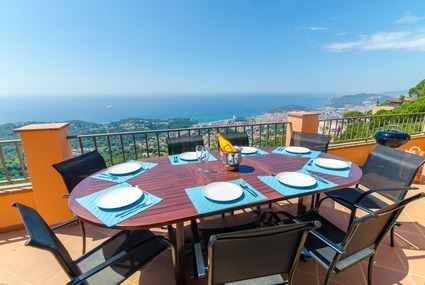 The villas of Club Villamar are often located in a hilly area around Lloret de Mar, it is the ideal place to hike or explore the area by mountain bike. Looking for more sports? Horseback riding, scuba diving, snorkeling, tennis, golf, bowling and beach volleyball. Anything is possible. Do you share a villa with more girls? You all start to get the illusion that your creditcards are whispering to you? Go Shopping! In Lloret you will find some nice shops but for the real thing you must go to one of the large shopping centers in the area of Lloret: Matero Park, Roca Village and Espai. All are close to your cottage or villa. Why rent an apartment or villa from Club Villamar? You know the feeling, the never ending trip by bus or plane to your destination. Getting dropped of at your hotel, just hoping that the room is big enough for the whole family. Then you always get noisy neighbors next to you and a balcony that is way to small. Time to relax, of course not! You first need to fight for a sunbed at the way to crowded poolside, not to mention your children, keep an eye on them to make sure you wont lose them. Ow just image... a wonderful, carefree lazy holiday, a book in your hand, private pool at your feet, the warmth of the sun on your skin, the laughter of your children in the background, the smell of meat on the bbq and a nice cool drink in your hand. And best of all, you don´t have to share with strangers! Total relaxation in privacy! And the choice of deciding when you want to join the crowds and when not. In your apartment or villa Club Villamar it is all possible! Book your apartment, holiday home or villa at Clubvillamar and make sure that this year you can enjoy the carefree lazy vacation you deserve!